A fundamental tenet of Chinese medicine is that as humans we are connected to the world around us, and that the microcosm and the macrocosm – the little picture and the big picture – offer similar views, with the difference being merely a matter of scale. In light of over two decades of voluminous Western research indicating that the stability of the climate has been seriously compromised, how can Chinese medicine contribute to the ongoing discussion about climate change? Even a basic discussion of yinyang theory can provide significant insights into what climatologists describe is happening globally. This article examines prevalent assumptions about climate change held in the industrialized West through the lens of Chinese medicine, and explores deep-reaching philosophical understandings from classic Chinese medical texts that have much to offer in discussions about – and action towards – climate stabilization. Published in the Winter 2011/2012 Vermont edition of Green Living, a nationally distributed environmental living magazine. Despite the great emotions being expressed about health care reform in this country, the scope of change that is predominantly being discussed is actually quite small. While there are some exceptions, the most publicized part of the debate is who should have access to western health care, and who should pay for it. What has been very sporadically discussed, and in my mind only in a very superficial way, is the much bigger and more important question: What is health and how do we promote it? For millennia, Chinese culture has observed Nature and sought to understand the changes in the world around us, as well as within us. One of the primary models that was developed to understand these cycles is the Five Elements, with Wood representing Spring, Fire representing Summer, Earth representing late Summer, Metal representing Fall, and Water representing Winter. 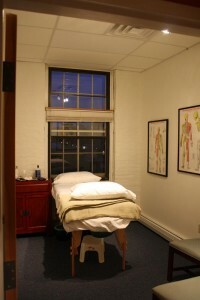 Acupuncture Degrees and Certifications, Licensed in Vermont and Montana. 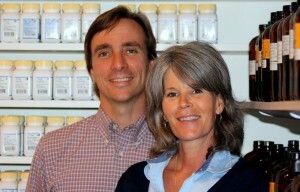 Liz Geran and Brendan Kelly both have Master’s Degrees in acupuncture from the Academy for Five Element Acupuncture (AFEA), and in 2005 began regular study of Classical Chinese Medicine with Jeffrey C. Yuen, 88th generation Daoist priest. They have advanced, post-graduate training in OB/GYN and reproductive issues, the endocrine system (hormones), luo vessels, eight extra meridians, oncology (cancer treatment), and treating psycho-emotional issues. They have also partially completed a two year advanced, in-depth study of Chinese herbal medicine with 300 classroom hours. Our clinic is open from 9:00am – 7:00pm on Mondays, Tuesdays, and Thursdays. On Friday we are open from 10:00am – 5:00pm. The clinic is closed on Wednesdays, and on weekends. This is an ADA building and is wheelchair accessible.